3002654 Zebra Z-Perform 1000D DT Labels 102 x 64mm for midrange/high end printers, core: 76mm, diameter: 200mm, 2510 labels/roll. 1 Box, 4 rolls. 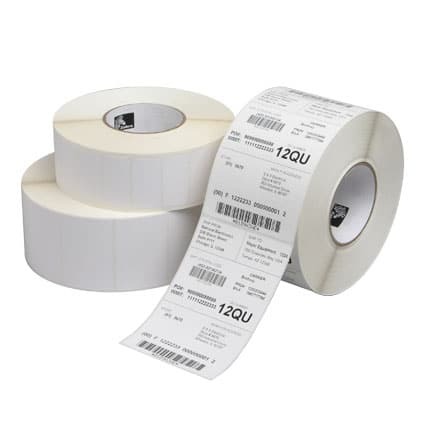 3002654 Zebra Z-Perform 1000D, label roll, thermal paper, uncoated, for midrange/high end printers, core: 76mm, diameter: 200mm, dimensions (WxH): 102x64mm, 2510 labels/roll. 1 Box, 4 rolls.